The development of electronic devices in the digital age has brought a lot of benefits to us. One of the positives is the reduction of tons of paper to sort and store data. Today a bulk of data is be able to be conveniently stored in just small but powerful machine or electronic devices such as smart phones, tablets, PC, notebook, hard drive, etc. However, risks always exist as your data can be wiped out within seconds. Now let's say, you have lost your precious iPhone data by accident or due to other reasons, what would you do? When you Google it and want to find a solution, most of answers will suggest you should try a third-party iPhone data recovery tool. You may have little knowledge about it and don't know how to choose a right one among so many various iPhone data recovery apps in the market. 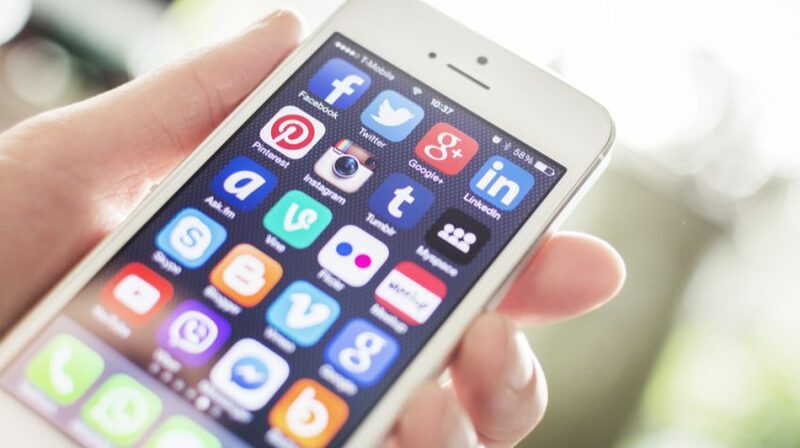 In this guide, we'll help you gain more about iPhone data recovery software you need. Part 1: What Is iPhone Data Recovery Software? Part 2: Is iPhone Data Recovery Software Safe? Part 3: How to Choose the Best iPhone Data Recovery Software? iPhone data recovery refers to the process of retrieving data that has been lost, corrupted, damaged, accidently deleted, or inaccessible from iPhone storage. When you cannot access your iPhone data via normal ways, you need iPhone data recovery software to help you out. iPhone data recovery software is a program that can search and analyze the file in your iPhone to find the data and make it accessible through normal ways, or transfer it to the local disk of your computer. Generally speaking, iPhone data recovery software can handle and recover your data either because of physical damage such as water damaged iPhone or broken screen iPhone, etc, or logical damage like deleted data, corrupted file systems, media errors, etc. Part 2: Is It Safe to Use iPhone Data Recovery Software? For people who're not familiar with the principle of data recovery, they may be confused whether iPhone data recovery software is secure or not, as it will access their data. As far as I know, iPhone data recovery software is safe, because it only a means of recovering your data lost somewhere in the disk itself, and cannot steal your private info from your phone or install any spyware on it. Also, it will not do any harm to your system or your iPhone. But frankly speaking, there is also a possibility that few iPhone data recovery software may do more than recovering data. So, choosing a best and reliable iPhone data recovery tool is extremely critical. It's difficult to choose a suitable iPhone data recovery app, especially for someone who is new to the data recovery field. To help you quickly get what you want, we will share with you 7 tips to find the best iOS data recovery software. As we mentioned in the previous part, you need to choose a safe and reliable iPhone data recovery program, so you can feel relaxed to recover lost or deleted data from iOS devices. In general, most of iPhone data recovery software in the current digital market is safe to users, and will not do anything harmful to customers. Next we should consider the compatibility of the software, whether it is working for all iOS models including iPhone, iPad and iPod touch, as well as iOS versions, at least the version working on your devices and later. Since most iPhone data recovery apps are desktop ones, you should also make sure they're compatible with your Windows or Mac systems. After confirmed the app you chose can perform on your device, then we need to think about the file types that it supports. A good iPhone data recovery program should be able to recover contacts, messages, notes, photos, video, call history, calendars, reminders, Safari bookmarks, as well as third-party app messages and attachments, etc. Actually there are two recovery modes for most iOS data recovery software, that is, from backup and without backup. If you have iTunes or iCloud backup for your iPhone data, you can easily get them back by restoring iCloud/iTunes backup, but it may replace all the existing data on your phone. Or, you choose iPhone data recovery to restore data from backup file, and you can get them back selectively without overwriting your current data. If you have no backup unfortunately, then it can also help you analyze and salvage your data from iOS device directly. Without doubt, the best iPhone data recovery software should guarantee a very high success rate of your iPhone data recovery, which determines whether you can get back your data or not. Otherwise, you spend money to buy a product but can't bring back the data you want, or only recover some, you must be very angry. There are many free iOS data recovery software, but the free version usually has limited features. And also most utilities will offer free trial version for you. If you have enough budgets, you can try the free version and then upgrade to its full version if you're satisfied with the software. The best iPhone data recovery program should be high quality one with reasonable price. Intuitive interface and less recovery steps are necessary for the best iPhone data recovery software. Complicated buttons and interface may make you feel confused where the right one is. Meanwhile, recovering iOS data should be as easily as possible, there is no requirement for technical skills. Fortunately, most iPhone data recovery software will have a detailed how-to guide for you. Joyoshare iPhone Data Recovery for Windows (or Joyoshare iPhone Data Recovery for Mac) is one of the best iOS data recovery software according to the aforementioned 7 criteria. It is 100% trustworthy data recovery app that can restore up to 20+ types of files lost in various data loss scenarios from iDevice directly, iTunes backup or iCloud backup with highest success rate easily and instantly. It supports a wide range of iPhone, iPod, iPad devices as well as the latest iOS 12 versions. 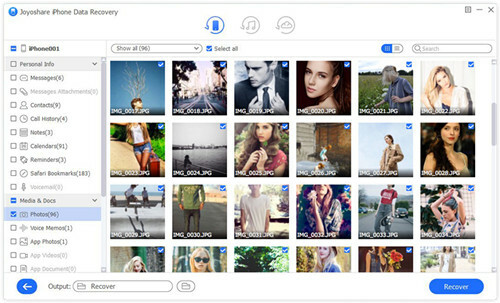 Recovering lost or deleted iOS data with Joyoshare only needs 3 easy steps, that is, connect your iPhone, scan and search, preview and recover, done.